you can release any files. but reserved release-slot only work for completed files. 1. Xtreme 7.0 does not exact calculate the overhead. Xtreme shows more overhead as other eMule Mods. 2. Website info: http://www.xtreme-mod.net will not more be the official site of Xtreme Mod. 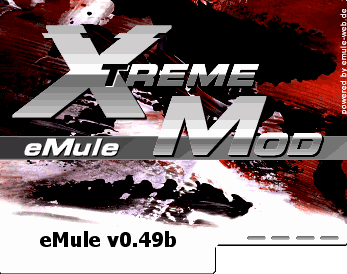 The New site is: http://www.emule-mods.de/?mods=xtreme. Где новые Xtreme 7.0 SE версии Andrey23?? ?